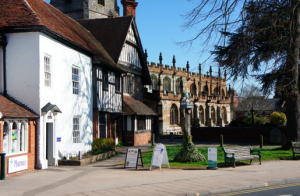 We are very excited today, the refurbishment of our new shop premises at 1707 High Street Knowle, Solihull, West Midlands, B93 0LN begins this morning. All the colours and layout of the cake craft shop have now been signed off and we can’t wait to see the final results, before opening our shop on Saturday 14th April 2012 to the excited cake making public. In our Cake Craft Shop you will be able to order wedding cakes, birthday cakes and celebration cakes, as well as, finding everything you need to make your very own cakes. 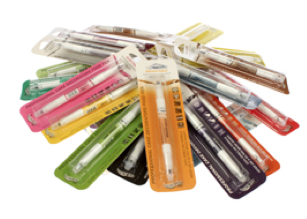 Our SugarBliss Cake Craft Centre is the one-stop shop for all your cake decorating supplies from beginner to professional. With a huge selection of cake decorations, ingredients, cake bases, cake making tools & equipment, moulds, cupcake cases, boxes, books and ribbons you will be able to find everything you need to make your very own delicious cakes every time. You can also hire cake making equipment and get expert advice from our experienced Sugarbliss team of cake designers. You can book cake classes and order cakes for your special occasion by browsing through and choosing cake designs from their extensive weddings, birthday and celebration cake portfolios, or have us create something personal and completely different to make your cake just perfect for your special celebration. Here at Sugarbliss Cake Company we can’t wait to welcome you at our new cake Craft Shop. Happy cake making and we hope to see you soon. 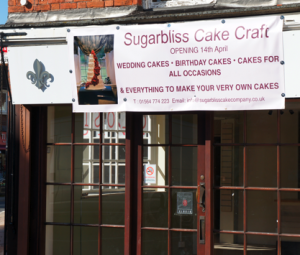 Sugarbliss Cake Company & Cake Craft Centre. 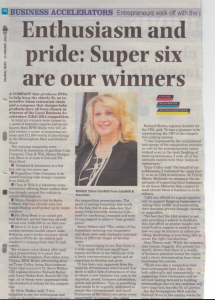 SugarBliss Cake Company is one of six successful businesses to win the LBA regional competition. 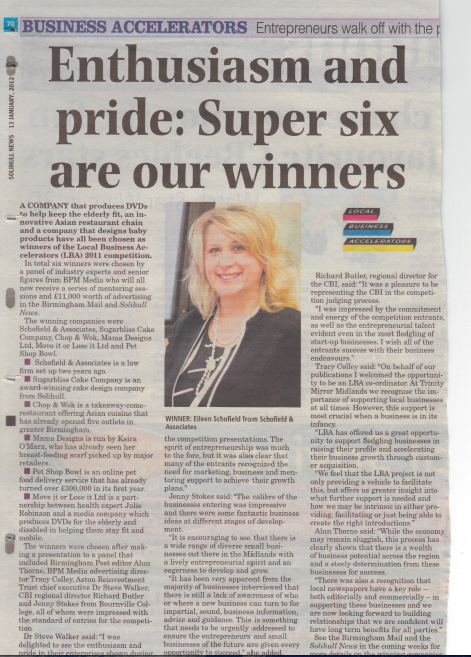 After a business presentation earlier this month to a panel of LBA industry experts, the winners were announced on 12th January 2012. 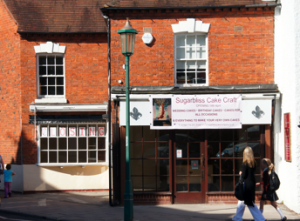 SugarBliss Cake Company will now receive support from the panel of LBA experts and £11,000 worth of marketing and advertising to develop their business. In addition, SugarBliss Cake Company will now have the opportunity to be chosen by Deborah Meaden who will become a mentor to one overall business, picked from the regionals winners and providing invaluable business support throughout 2012 to drive their business forward. SugarBliss Cake company is one of five businesses that have made the shortlist in the Local Business Accelerators competition. The nationwide campaign launched in October and backed by Prime Minister David Cameron and Dragon’s Den star Deborah Meaden will see 1500 firms receive £15m in advertisement to help boost their businesses in 2012. SugarBliss Cake Company will now pitch to a panel of experts from the business community. 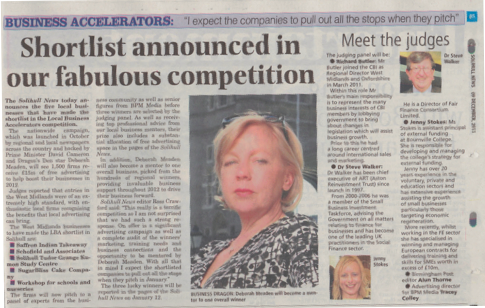 In addition, Deborah Meaden will also become a mentor to one overall business, picked from the regionals winners, providing invaluable business support throughout 2012 to drive their business forward.